Most people have heard of the Great Barrier Reef, even if they haven’t been there themselves. The world’s largest coral reef contains over 3000 individual reef systems and is the only living thing on earth which is visible from space. Despite its immense size, the entire reef is under threat from a relatively small organism: the crown-of-thorns starfish. This starfish, or more accurately a sea star, is often nicknamed COTS by those who are tasked with preserving the Great Barrier Reef for future generations. Whilst the crown-of-thorns sea star is native to Indo-pacific coral reefs, in recent years there has been a population explosion, in part as a result of overfishing of the COTS natural predators such as giant triton snails and the humphead Maori wrasse. The problem then is that there are so many sea stars that the coral reef they populate is being consumed by the starfish at a faster rate than it can grow back. Between 1985 and 2012, the Great Barrier Reef has lost 50% of its coral cover, with the main threats being climate change, human activity and the crown-of-thorns sea star. The reef can no longer sustain such a large population of these destructive sea stars without significant damage to the coral. Unfortunately, the only solution to reduce the population of COTS is for a percentage of the sea stars on the reef to be killed. This is achieved via a lethal injection of a bile salt solution. A team at the Queensland University of Technology in Australia has come up with an innovative solution to stop these sea stars in their tracks. Led by Matthew Dunbabin and Feras Dayoub, the team have developed an underwater autonomous drone, capable of destroying the sea stars quickly and humanely. Whilst a team of human divers patrol the reef in order to control the population of COTS, the problem has become so large that the team are unable to maintain coverage of the entire reef. During spawning season (October to March) female COTS are capable of producing up to 65 million eggs. The drone, nicknamed COTSbot, has been developed with stereoscopic cameras which provide depth perception, movement control sensors which detect and compensate for pitch and roll from the ocean currents; and a GPS to aid navigation. In laboratory tests, COTSbot identified its target 99.4% of the time. It is now so good at recognising the sea stars that it completely ignores the 3-D printed decoys that have been placed to test its accuracy, and just targets the live COTS. The initial detection system was developed using images gathered by human divers who patrol the reef and manually eradicate the sea stars. Once it was decided that the COTSbot was accurate enough to be released onto the reef itself, the drone was initially secured to a Wi-Fi enabled boat so data could be beamed back to researchers who could verify a positive identification of the sea star before confirming the release of the lethal injection. Once the trial was deemed a success, COTSbot was allowed to perform autonomously. If the drone is unsure of its target, it is capable of taking a photo and sending it to the onshore team, for verification. These photos are then used to improve the detection software, leading to more positive identifications without the need for human intervention. 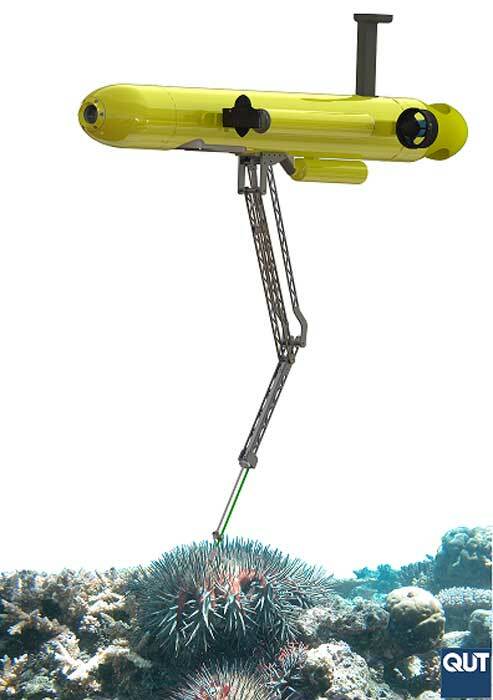 It is anticipated that a fleet of COTSbots will be able to complement the current efforts of human divers who remove or kill the starfish, but advantages of having COTSbots as part of the team is that they can operate in bad weather, high currents and can also be deployed at night, when starfish are more active but diving on the reef is prohibited. 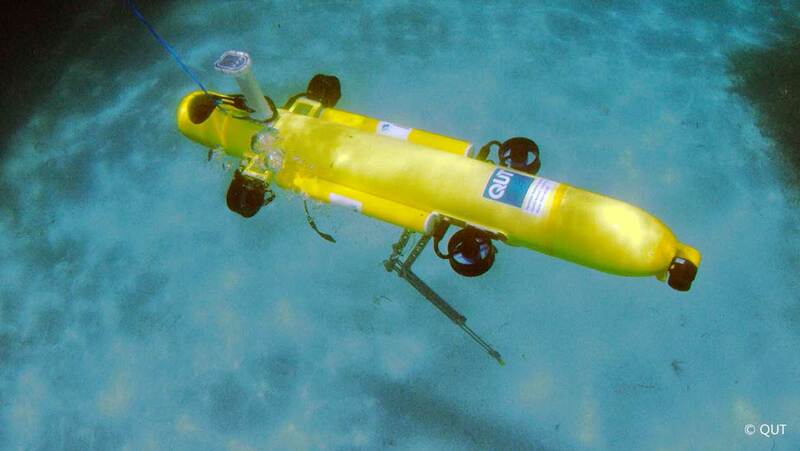 Once released into the ocean above the reef, the COTSbot is programmed to follow a pre-determined path, using its five thrusters to stay close to the reef but avoid making contact with the delicate structure of the reef itself. It achieves this through a combination of multiple cameras and sonar. The cameras also scan for the COTS, which are distinguished by their purple color, distinctive creeping motion and the shape of their arms and thorns. The starfish often wrap themselves around coral structures as well as hiding under outcrops, but this doesn’t fool COTSbot which has been programmed to recognize these positions. Once a positive identification has been made, the needle-capped pneumatic arm lowers from the body of the drone and injects the starfish with a lethal dose of poisonous bile salts. Injected starfish will die within 24 hours, which crucially leaves them no time to separate, regenerate or spawn. COTSbot carries with it enough poison to kill more than 200 starfish in one mission, usually lasting between four to eight hours. 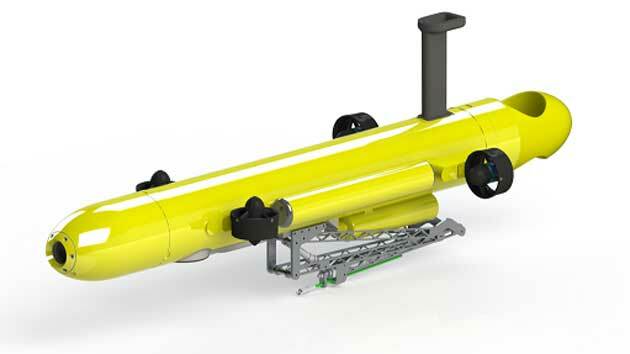 COTSbot is the world’s first robot designed to control marine pests and the team have now started work on extending COTSbots capabilities into a new RangerBot which completes a number of functions including monitoring coral bleaching, water quality, pest species, pollution and siltation. So if you ever do make it to the reef, watch out for this little drone working hard to protect one of our greatest natural wonders. Top image: All images of COTSbot supplied and copyrighted by QUT.